It only took Bethesda ten years to fix this aspect of its engine. You can read our thoughts on the game in our Fallout 76 review, but as a 'living game' there are likely to be many changes over time. For example, during the Fallout 76 beta, we were able to run some initial benchmarks to see how it fares on various GPUs. As with previous Bethesda games, including Skyrim, Fallout 3, New Vegas, and Fallout 4, the game was locked to 60fps by default, but you could remove that by editing the Fallout76prefs.ini and settings iPresentInterval=0. That created other problems if your FPS was too high, however, and anything beyond about 144fps would cause substantial acceleration to the game logic. Bethesda's short-term solution was to lock the framerate to 63 fps, a value apparently chosen to accommodate the engine's 64Hz tick rate for updating AI and physics. Given this has been a known problem for a decade, going at least as far back as Fallout 3, I and many others felt that was Bethesda's final answer. That upset quite a few people, and their collective grumblings have apparently caused a change of heart. The most recent patch, 1.0.1.14, reverses the earlier framerate lock. More importantly, the game now appears to run properly even at 200+ fps. Or at least, there's no acceleration of movement, physics, or AI that I could see. Which proves that everyone who suggested this was a relatively easy fix that should have never been a problem in the first place was right. Bethesda has also committed to providing an FOV slider, though you can likewise do this via manual INI file edits. 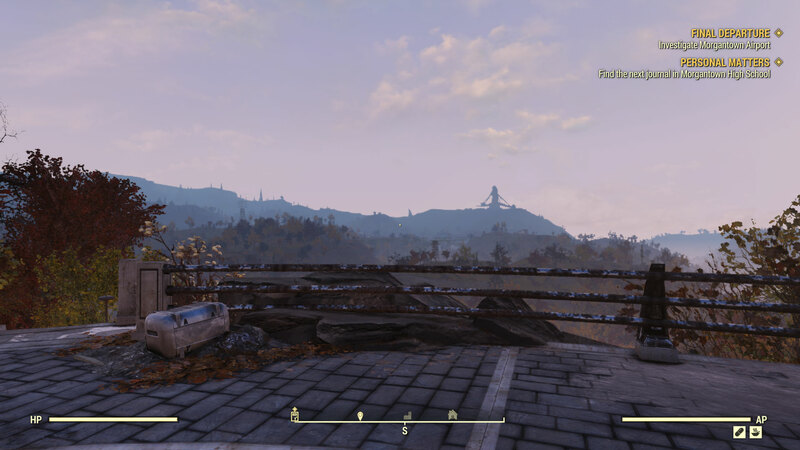 If you create a Fallout76Custom.ini file in your 'My Games\Fallout 76' folder, and add the following lines to it, you can set higher FOV (though the UI can have issues right now, especially if you go too high). Fallout 76 officially launched on November 14. We initially reported on the locked framerate and FOV, but we're happy to see Bethesda reverse its earlier decision. That may not fix all the complaints with the game, but it's a good concession and there's still plenty of fun to be had.